Acting is a JOB - Start 2018 the Smart Way! ​Also - it's Tax Time! 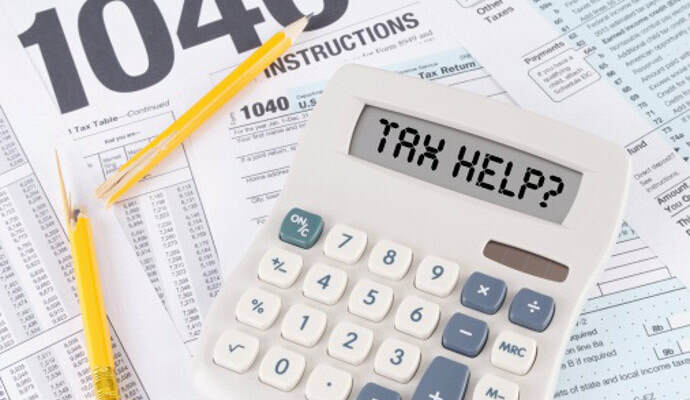 ​Learn the Ins and Outs of Self-Employment Tax Filing! Originally from Ohio, Kristin received her Bachelor of Arts and Communications in Theater Arts from Bowling Green State University. She moved from Ohio to Chicago, IL and began working in various theaters across the city. While in Chicago she was Artistic Director of a non-profit theater company that focused on new play development. In 2009, she moved to Portland, OR to pursue her Master in Theatre, graduating in 2011. Kristin has apprenticed under world renowned directors such as Tito Capobianco, David Edwards and Elizabeth Bachman. She has worked as Acting and Dance faculty for the Tyrolean Opera Program in Maurach Austria and the Napa Music Festival in California. 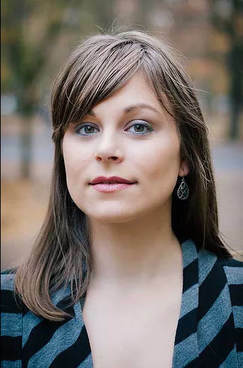 Her most recent work includes: State Director for Portland Actors Ensembles touring production of "The Winters Tale" (in tour through Sept. 2017) Stage Director and Co-Choreographer for "Anything Goes", and Music Director and Choreographer for "The Phantom Tollbooth". 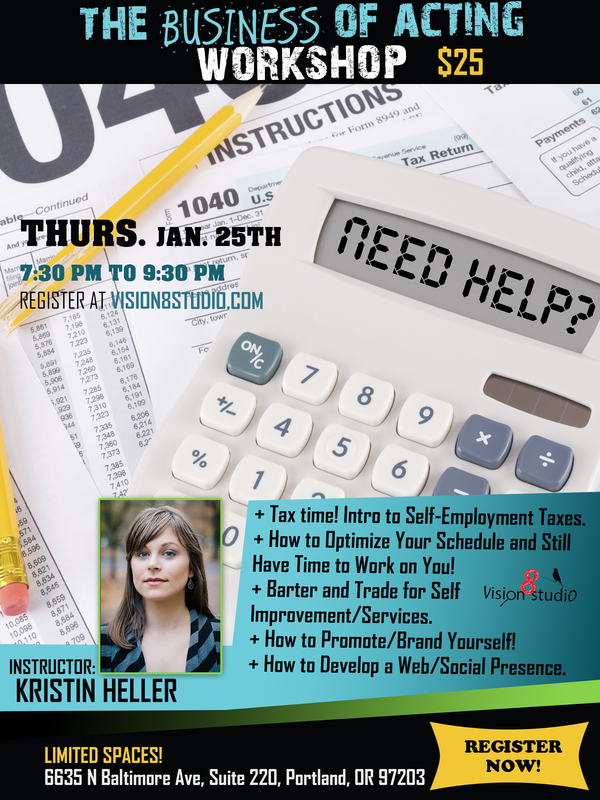 January 25th - 7:30 p.m. - 9:30 p.m.
Tax time! Intro to Self-Employment Taxes. How to Optimize Your Schedule and Still Have Time to Work on You! Barter and Trade for Self Improvement/Services. How to Develop a Web/Social Presence. Contact us if you would prefer to pay via cash or check.